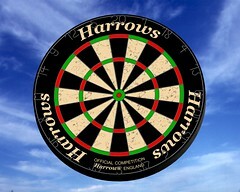 Rendering of a 3D Studio 5 model (2.9 MB) of my Harrows dart board. The model is to scale, and accurate to within a fraction of a millimeter. By the way, the board is great! 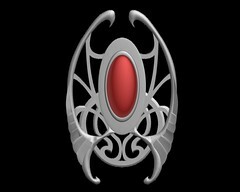 Rendering of a 3D Studio 5 model (1 MB) of a piece of jewellery. 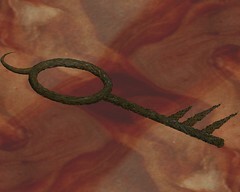 Rendering of a 3D Studio 5 model (0.2 MB) of the key to Hell, as depicted in “Season of mists”, the fourth part of The Sandman Library by Neil Gaiman. 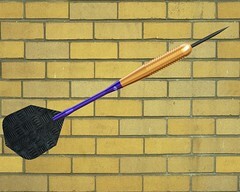 Rendering of a 3D Studio 5 model (1.2 MB) of one of my darts. The model is to scale, and accurate to within a fraction of a millimeter.